Every time Apple holds a media event, people scramble to find a live feed to watch it. Apple has historically streamed a few events but not all of them. June 2, 2014 is the big day when the Worldwide Developers Conference (WWDC 14) kicks off and Apple has announced that it will live stream the keynote from the event so you can watch it in your cubicle at work or the warmth of your couch at home. 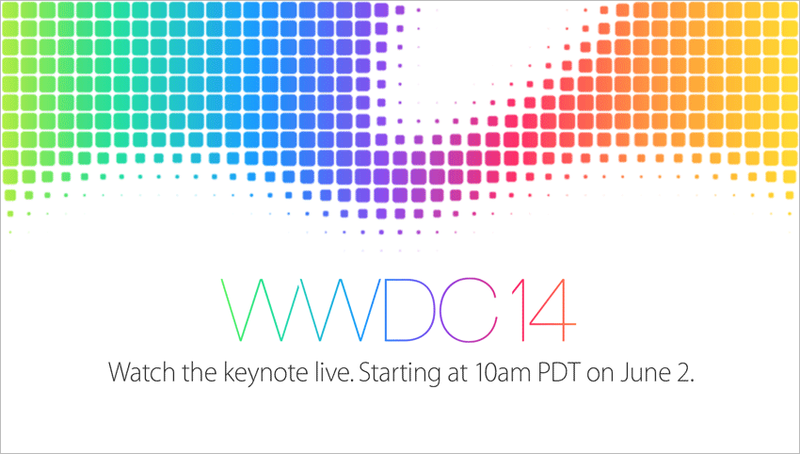 The keynote will jumpstart WWDC 14 at 10 a.m. PDT on June 2. Expect some big announcements from Apple including new iPhone(s), iOS 8, and maybe new hardware among other stuff. To watch the event you will need Safari 4 or later on a Mac running OS X 10.6 or later, Safari on iOS 4.2 or later, or QuickTime 7 on Windows. You will also be able to stream the event on a second- or third-generation Apple TV with software version 5.0.2 or later. I'm hoping there will be announcements regarding CarPlay at the event. Maybe information about additional third-party apps that will be added to the interface or even an SDK for making your existing app CarPlay compatible. So mark your calendars and get your devices ready for the event.